No union is more profound than marriage, for it embodies the highest ideals of love, fidelity, devotion, sacrifice, and family. In forming a marital union, two people become something greater than they once were. As some of the petitioners in these cases demonstrate, marriage embodies a love that may endure even past death. It would misunderstand these men and women to say they disrespect the idea of marriage. Their plea is that they do respect it, respect it so deeply that they seek to find its fulfillment for themselves. Their hope is not to be condemned to live in loneliness, excluded from one of civilization's oldest institutions. They ask for equal dignity in the eyes of the law. The Constitution grants them that right. The judgement of the Court of Appeals for the Sixth Circuit is reversed. As you lovely readers know because I've been inundating my social mediums with my news, I released a novella into the world. Now, granted, I'm only three days out from release, but these are some reflections I've had on the self-publishing process. 1. Thank God I Hired a Really Good Copyeditor. No, really. I've been reading my own book on my Kindle (that feels so weird to say) and although some of my formatting is kind of making me cringe (more on that later), the actual story itself isn't. Not saying it's a perfect story--it definitely is not--but I know that the spelling, grammar, and punctuation is spot on because Jess checked this baby thoroughly. The huge amount of commas, ellipses, and dashes is my fault. 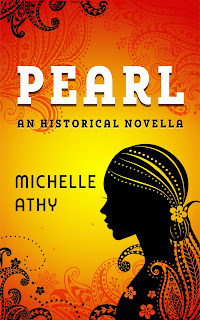 Pearl: An Historical Novella is super close to being ready to hit the Interwebs. I'll let you know of an exact date when we get there, but I anticipate early next week. In the meantime, here's the cover, one of the designs from GoOnWrite.com! Time to a slave only means endless work, but for Pearl, the last ten years have meant time without her younger brother Julius. He was sold away from Barbados, a little island of sugar cane and slavery, but Pearl is still there, the lady's maid to Mrs. Keegan. After Mrs. Keegan dies, rumor has it that Mr. Keegan may return to his native England with his two children, which means Pearl will be sold for sure. Surprising herself, Pearl asks Mr. Keegan if he intends to sell her. To her shock, he says that yes, he'll return to England—but he's going to free her first. Pearl asks to be taken to England, too, with vain hopes that she'll uncover what's become of Julius—even if it means she'll remain enslaved. Writers, by nature, will give out all kinds of contradictory advice. Show, don't tell. (Huh?! It's a novel, not a movie ...) Write what you know (But I know nothing. Jon Snow.) Write for a market. Don't write for the market (because it'll change by the time you finish your book.) 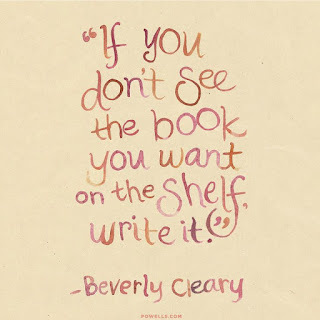 Write something you think people will actually want to read. Nah, forget the readers, write it entirely for yourself. In my case, I wanted to see a historical fiction costume drama-like story with some grittier issues, with some diversity. Expanding on that, Pearl, which is a spin-off from the Keegans, is about a black female protagonist in a Georgian England setting and her plot does not involve romance. 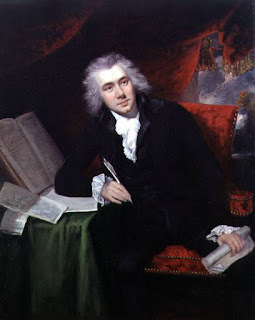 It's June's IWSG post. 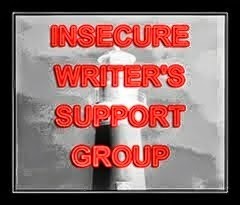 Check out the IWSG page to find out more about this wonderful group. My mind has been going in two different streams the past few days. On the one hand, the novella is coming together--I got the copyedited manuscript back over the weekend and went through the Track Changes. My copyeditor only had about 4 queries for one, which she said was good for a story that is 29K. So the story itself is almost done. Now it's on to covers. I have no ideas for a cover--not being a visual person in the least--but it's an important component for a book. Readers takes cues from covers. I've been looking at places that have pre-made covers displayed to see if something among them might suit. I've found a few that might be okay, but I'm not entirely sure yet.